Starch is a carbohydrate polymer found abundantly on earth. It is synthesized in plants as a short-term storage compound for respiration in the leaves and for long-term storage in the tubers, seeds and roots of plants. A wide variety of enzymes modify or convert starch into various products. The classes of enzymes that act on starch include endoamylases, exoamylases, debranching enzymes and transferases. 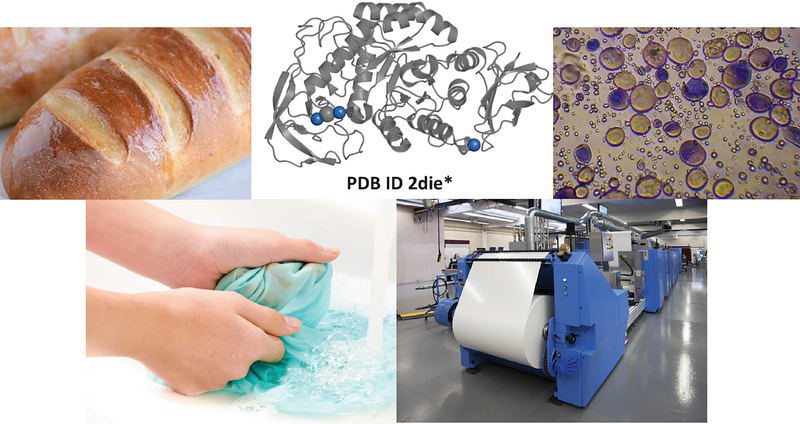 Starch-modifying enzymes of microbial origin are utilized in a wide variety of industrial applications. Alkaline-active amylases are diverse in terms of optimum reaction conditions, substrate and product specificity. Amylases that are active at lower temperatures and alkaline conditions are most suited for detergent formulation. 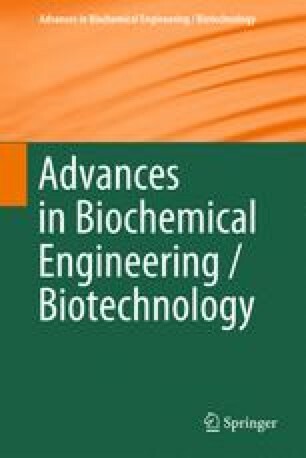 Other notable starch-modifying enzymes from alkaliphiles include maltooligosaccharide-forming amylases and cyclodextrin glycosyltransferases (CGTases), which produce a variety of maltooligosaccharides and cyclodextrins, respectively. Such compounds are used in the food, fine chemical, pharmaceutical and cosmetic industries, among others. Alkaline-active amylases are also applicable in the paper, textile and leather industries and also in bioremediation and alkaline waste water treatment. Their application in these fields is further enhanced through stabilization and improving their specificity and catalytic action by employing nanotechnology and genetic engineering.